Discover you Cosmic Connection with uncovering who you are through the magical language of astrology. I navigate through your natal chart and break down key points in your chart to help you 'discover' your true self as told by the stars. 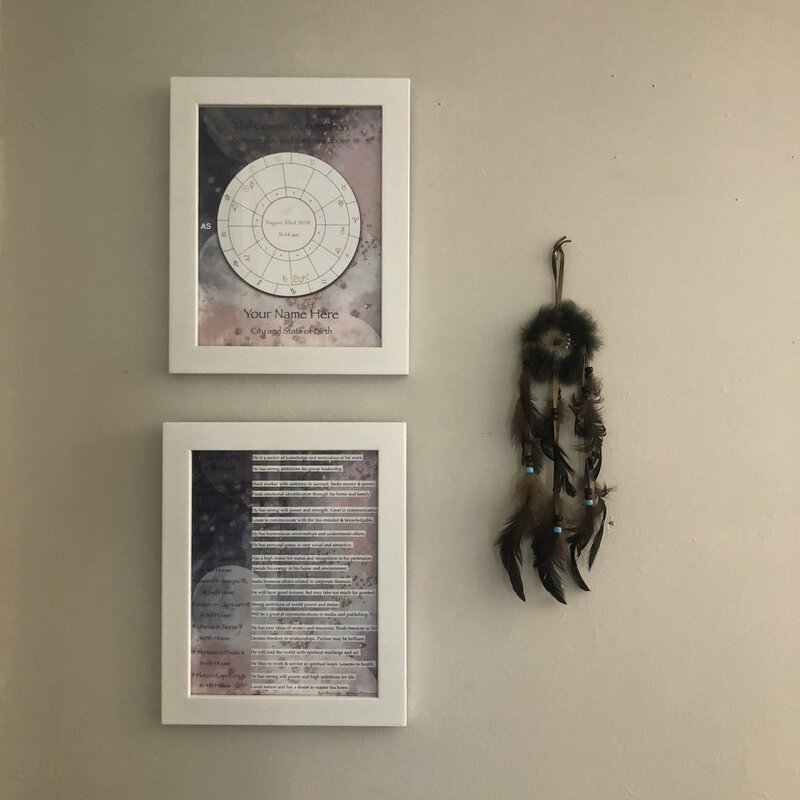 Understanding your birth Natal chart is fun magical way to help you understand your own personality and create self-awareness to better navigate through a balanced life. This also makes as a great gift for friends, family and newborns! 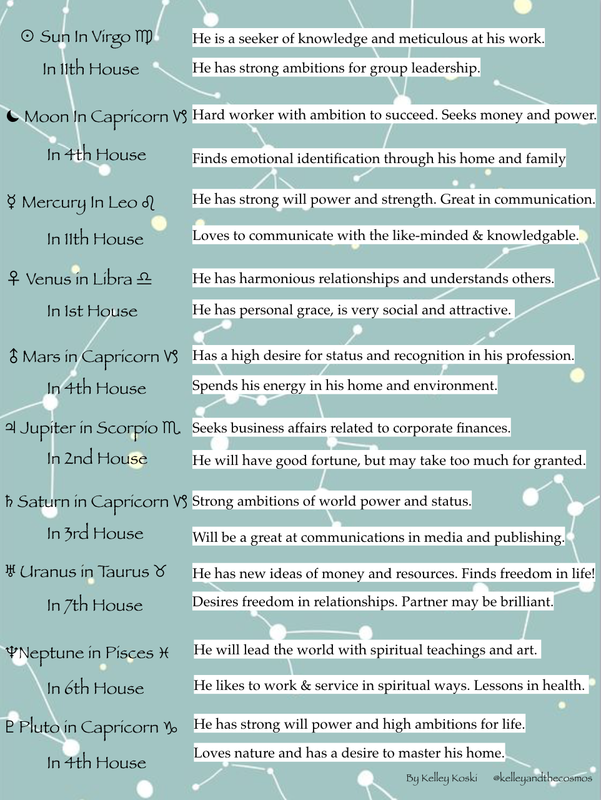 An overview and copy of your natal birth chart which includes all the planets, houses and signs. You receive an mystical interpretation of the meaning of the alignment of outer space at the time of your entry on earth! Ready to Believe in Magic? *Prints will be mailed to you within 3-5 business days. *Framed Prints with be mailed to you within 7-10 business days. Prices includes shipping within the US. As Above, So Below. The stars and planets have always inspired a sense of wonder.